Today, we are going to review the Delta “r10000-unbxhf,” rough-in valve. This is no common out of the box mixer valve for your shower. No, this is innovation at its finest and by the time you finish this review, you will know exactly why. When water damaged home is cleaned and ready to start remodeling one of the first things most homeowners want is a new bathroom. This includes cabinets, showers, and toilet. The reason is that homes flood due to a bath or kitchen fixture failing. The homeowner wants to replace these fixtures in order to avoid future flooding. Delta faucet company use to be considered one of the mid-class faucets that were found at any local hardware store, Lowes or Home Depot. Today this faucet company is on the cutting edge of technology. I think they were the first to come out with the first smart touch kitchen faucets for residential use before these were only for industrial bathrooms such as Lowes. Delta decided to help homeowners and contractor out a little bit with their Multi-Choice® universal rough-in valve for showers. What this means, is when you choose this valve, all you have to do is install and then decide what kind of trim kit you want at a later time. This is great for new construction and remodeling projects. Accepts Single-Function shower cartridge. This is your standard cartridge for just one shower head hot and cold, on and off shower handle. Multi-Choice 14 Shower Trim Kit does not have flow control. Dual Function Cartridge has a separate temperature control handle for use with the Delta Multi-Choice® 17 shower kit. Dual Function Thermostatic cartridge, is a dual function high/low flow and temperature that is separate form the control handle. This model uses the 17T Multi-Choice Trim Kits. From what I can find, Cartridge Ships with your desired Trim Kit. What you get with the Delta Valve body only is the test plug. This way you can test your shower install for leaks before installing any finished walls. 1/2″ Universal Inlets that accept ½” copper, Iron, PEX or CPVC pipes and tubing. Like most valve bodies they have the ½” female threaded inlets. This Delta valve has back to back Compatibility, High water Flow for shower only applications due to the fact that the inlet for a tub spout is plugged by the factory. You can choose from square or round faceplate trim in colors that are stainless, Venetian brass, brushed nickel, or black. Delta really gives you a lot of choices for trim kits; of course, your budget will be the only limiting factor. Click here to see the various trim kits that are available. What is a rough-in kit? A: A rough-in kit is just the valve body without the trim kit. It’s like buying a camera body without the lenses. Where are Delta Faucets made? Delta faucets are manufactured in Greensburg Indiana, U.S.A.
What is a rough in valve? A rough-in valve is a shower valve or tub and shower valve body that is concealed behind an unfinished wall before any drywall or tile is installed. Once you demo your wall check to make sure you don’t have any mold growth from the previous valve. If you do here is how to get rid of any mold behind the wall. 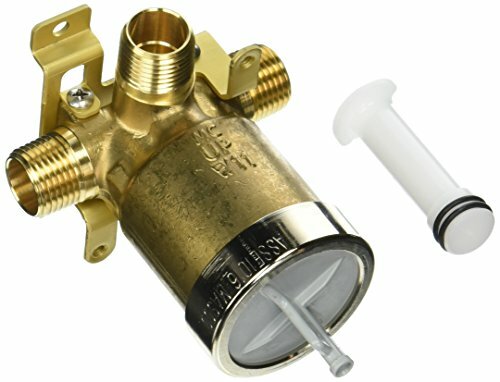 Are all Delta shower valves the same? A: No. There are different models and depending on your model different parts. For instance, The Delta R10000-UNBXHF Multi-choice Universal is a Shower Only Valve Body. The fourth inlet is plugged by the manufacturer. 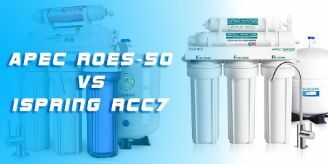 The Delta Faucet R10000-UNWS Multi-Choice R or the r10000 unbx Universal. These are bathtub and Shower Valve Bodies. The bottom inlet is open so you can plumb the mixing valve to the tub spout. What is the rough in height for a shower valve? A: There is no set in stone height on showers. When I rough-in a shower, I generally, set the valve height at 42” center from the floor and set the shower head arm at 76” to 81” center from the floor. However, some cities have a standard code. You will need to check your local building code to see if there is a minimum height for shower valves. Do you need to install Hammer arrestor? A: There is no need to install a hammer arrestor on your shower fixture. These were used on showers because at the time it was believed that when you turn on and off a shower the pipes would hammer against the studs making a loud noise. Though true, if you do not secure your pipes, manufacturers have improved their valves so they do not do this. Be wary when purchasing, make sure you get what you want! There are small differences between the models of this product, so you will need to know specifically what you want. If you are looking to remodel, you may want a different model, but if you are just changing the faucet and valve then this is the one for you. I couldn’t find anywhere in the directions or information that gave you a heads up that this model doesn’t have a stop, so just be aware! Easily controls the flow of water! I bought this product and installed it in my shower which has been recently built. It’s worth noting that I also used the Delta Diverter R110000 and they work really well together. I was happily surprised at the quantity of water that this allows through, which is quite a bit. A very easy installation and it also works great with a PosiTemp cartridge! Easy installation: Installs the same as any mixer valve. You have a port on the left for Hot water, a port on the right for cold water, and a port at the top of the body for your shower head. The port at the bottom is plugged by the manufacture and that port is used for a tub spout. Be sure to double check each port before installing and do read the instruction manual. Low cost: The cost is pretty low because you are purchasing the rough in shower valve body only. This does not include the cartridge or trim kit. You do get the test plug so you can turn your water back on and check for leaks while you decide on the appropriate trim kit for the finished shower. High Flow: The Delta r-1000-unbxhf is rated as a High flow of water if you get the shower only valve. An assortment of trim pack available to fit your style: As a contractor, it is important that the homeowner makes the decision for the trim kits because they can match the rest of their fixtures around their own style. After all the homeowners will have to live with their choices. The only con for the Delta shower only valve is that if you purchase the Dual function or thermostatic cartridge, the flow/temperature lever looks as if there is a gap between the control and the temp lever. Some may think that this is a flaw in the design, but it’s not. Since the flow/temp lever mounts on top of the controls (2 handle or levers), there needs to be a little gap in order for the lever to function. If it was tight fitting it would move both the control lever as you set the flow and temperature for your shower. As with anything you need to inspect your valve when it arrives. Check the female inlets to make sure there are no damaged threads. If you do find any damage send it back for a replacement. And be sure to read your instructions before installing. This is particularly important to know how to adjust the temperature of a delta shower faucet. You’ve just discovered why you should use the Delta Multi-Choice universal shower only valve, on your next shower project, You also learned all about the valve body, what kind of trim kits to use with your new Delta rough-in shower valve, what to expect and not to expect with its performance and functionality, as well as how to install delta shower valve rough-in assembly in the Q&A. As a matter of fact, the only decision left for you is to purchase this fine Delta R10000-UNBXHF-Multichoice-Universal-Shower, for your next bathroom remodel. Click here to order now.